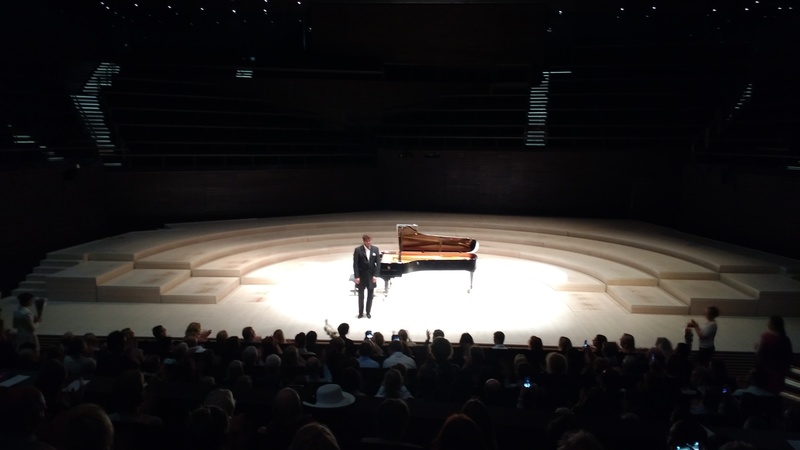 One day he spent in Helsinki and offered a piano recital in Helsinki Musiikkitalo. 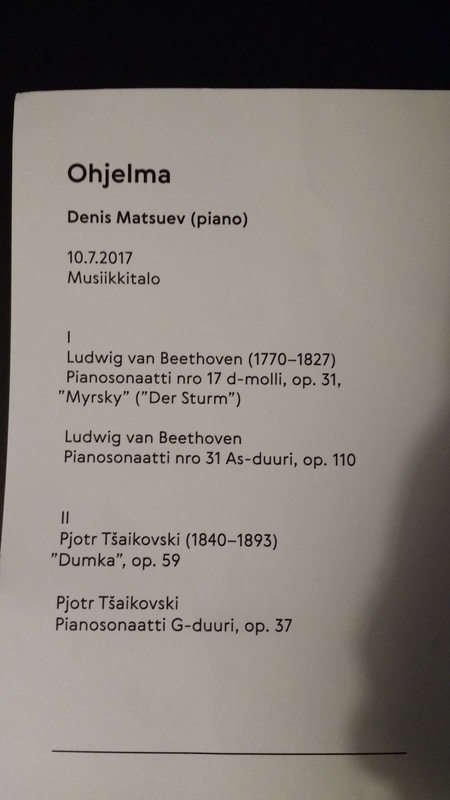 I absolutely had to go, I mean, Steinway Grand piano + Matsuev + Musiikkitalo is a safe bet for a wonderful evening, even though he didn’t play Rachmaninoff, but instead Beethoven and Tschaikovsky. Together with a large number of fans (the majority seemed to be Russian), I listened to the first magic sounds from the Grand piano…only to find the music to be commented by the squawking of a baby! Can you believe that? I think the whole concert hall almost in unison froze into disbelief, while the master continued his performance. It took about 4 more squawks of the little guy before it hit home to the parents that they were about to be lynched if they didn’t leave. Now, I like babies, but I was furious. I had paid a big chunk of money to go the concert and then this. Nevermind well-meaning parents who probably wanted to give their baby a good start into his or her career as a musician, but how can a professional music hall even allow them to get in? Babies are known for speaking up at the “wrong” moment. It took me a while to relax again into the music. I am not qualified to judge a music performance, so I can only say it was absolutely impressive for me. I am always fascinated by the sheer power and dramatics Matsuev gives to the dynamic or “stormy” parts of compositions, but during this concert, the magic started for me with the quiet parts. 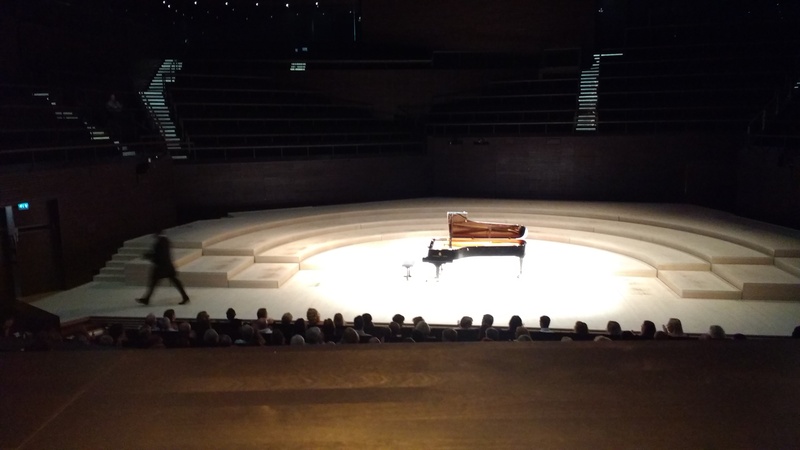 The great concert hall in Musiikkitalo has been designed by the same acoustician who has designed the concert hall of for example the Elbphilharmonie in Hamburg, Yosuhisa Toyota, so even the pianissimo-piano can be heard as if one sits right next to the instrument. For any musician who is not world class, this type of acoustics is merciless, as you hear the slightest glitch. Now, I couldn’t hear any glitches, instead absolutely wonderful nuances of piano to pianissimo with incredible tenderness. I was really touched. The downside of this acoustics is that one does not only hear the music precisely but also every stupid noise the audience produces, be it the inevitable coughing, the photograph taken (despite this being forbidden), dropped items or cough drops being unpacked from a rustling package. The behavior of the great master on stage was similar to his playing – very dynamic :-). He stormed in, sat down and played. And after finishing, he stormed out again. I didn’t, of course, take any pictures during the concert, but wanted to get one during the final applause. So here goes the storming out and at least one picture I got with him receiving the applause, a little reluctant, it seemed to me. Please do come back, I’d like to say. And play Rachmaninoff. And some day, hopefully, the Finlandia? And I keep wondering about what they do with all the flowers they receive after each concert? Very good. Have you ever visited? Couple years ago, we were there and we enjoyed very much. Hi, no, I haven’t, but may be next year. Awesome program. Working as a tour guide in Helsinki does not leave me much time in the summer to go anywhere. But I put it on my list, thanks. Oh, tour guide. It is awesome. Sumer must be busy time. Then You must know many languages, I guess. I worked in travel business before my retirement. I have told about my job in my About-me-page. I know some languages and I make my blogs in four languages. I am Finn and my mother tongue is Finnish.